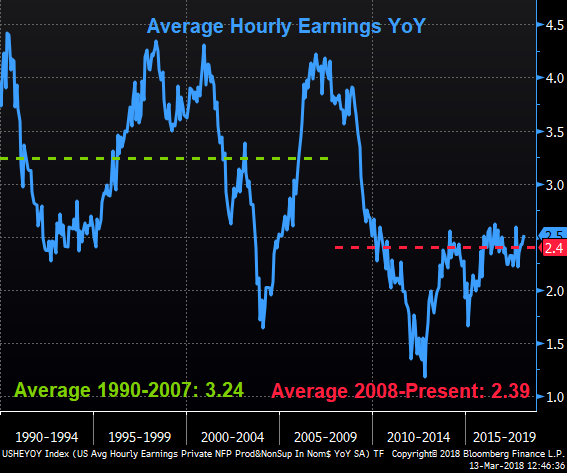 Other people have weighed in on the dynamics underneath wages, low unemployment, and the Phillips curve. In 2017, Harvard Business Review jumped into the topic, citing a decline in labor’s share of income, increased inequality in wage distribution, deteriorating economic dynamism, and labor market slack as answers to “Why Wages Aren’t Growing in America”. And finally, the ever-informative Epsilon Theory addressed wages in its 2017 article, Gradually then Suddenly. 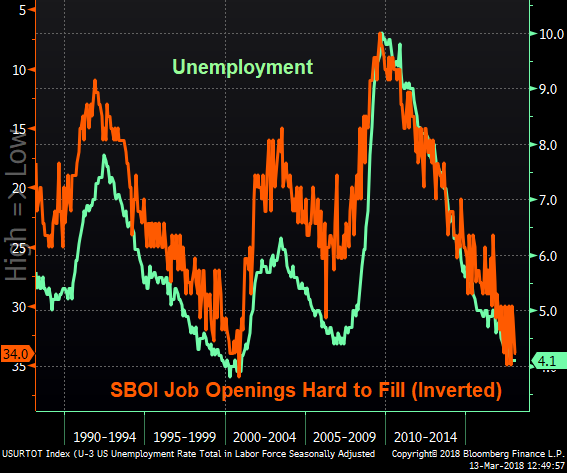 With NFIB Small Business Optimism coming out today at break neck levels last seen in the 1980s and finding qualified workers remaining the number one problem for small business owners, there’s a chance that the tide could be starting to turn.